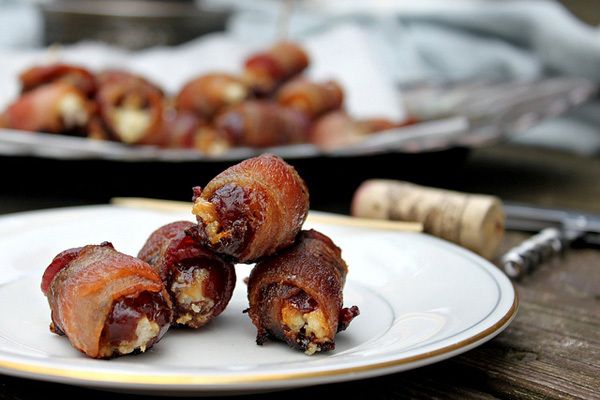 Watch these bacon-wrapped, cheese-stuffed dates disappear at your next party or family gathering. They are the perfect classy appetizer for a holiday wine and cheese party. Be sure to allow your bacon-wrapped, cheese-stuffed dates to sit a few minutes after they emerge from the oven. You want the cheese inside to “set and cool” just a bit before completely indulging. 2. 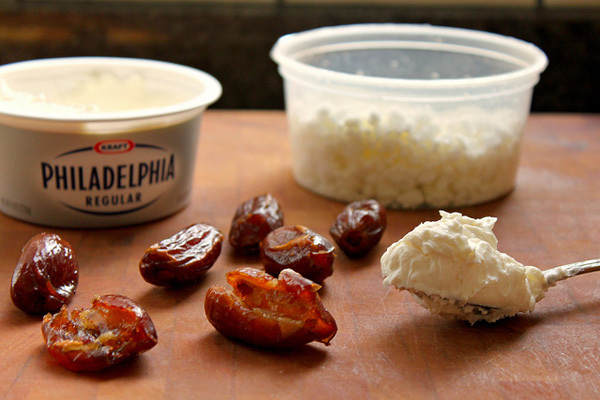 Mix together the room-temperature cream cheese and goat cheese. Tip: when buying pitted dates in a bag, be sure to squeeze the bag a bit to make sure the dates inside are pretty soft. If they feel too firm and dry, try to find another bag or brand. 3. Open all 24 pitted dates by slitting vertically (not cutting through) with a paring knife. 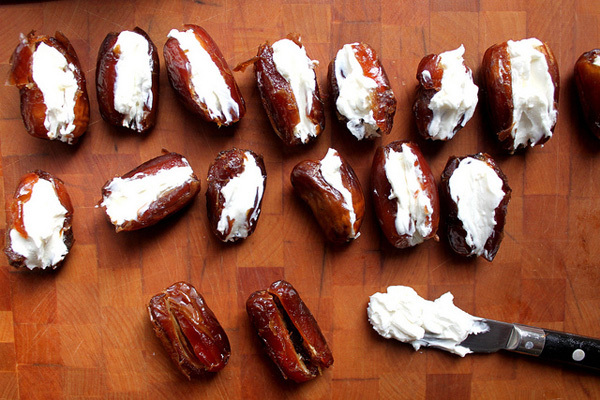 Some dates are already open like this, others will need cutting. 4. Using a cheese spreader, stuff your opened dates with the cheese mixture. 5. Cut each bacon slice in half. 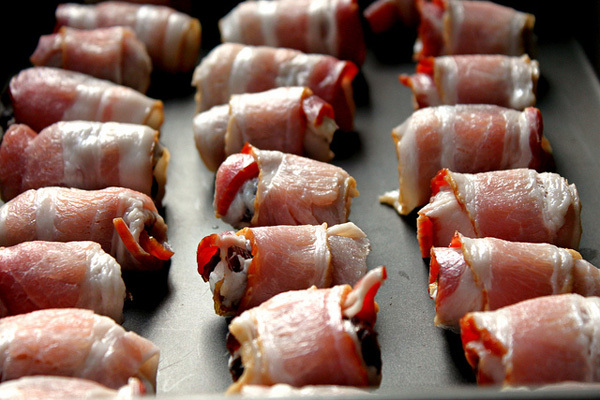 Wrap each stuffed date with half a bacon slice and place bacon seam-side down in a roasting pan. 6. Bake for 20-25 minutes or until the bacon is cooked and crispy! These are perfect party bites to make a day in advance and reheat!